Shes the girl who believes that what comes around goes around. The one who hopes for a better day. The one who wont give up on you. Shes the girl who’s unlike the rest. The one who spent her days smiling, and her nights crying. She’s the girl who would love to be loved. The one who looks so damn strong, but feels so weak. 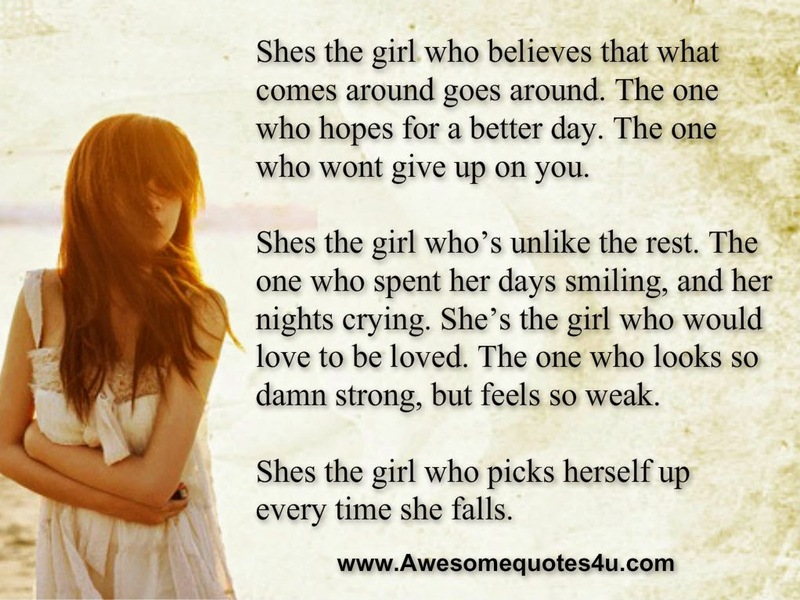 Shes the girl who picks herself up every time she falls. Be a girl who respects herself.